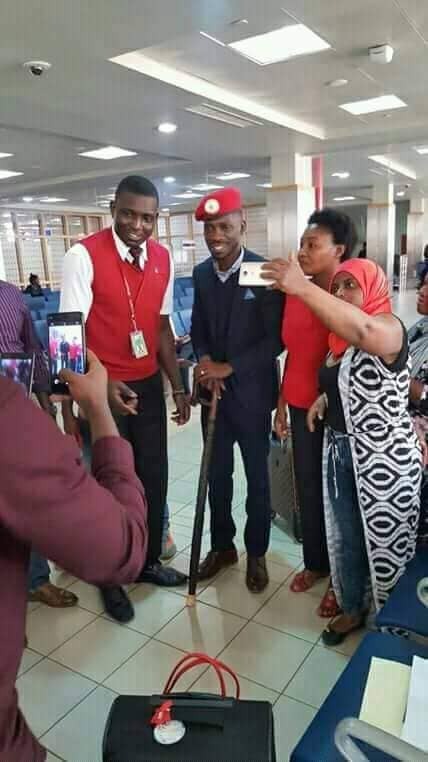 ENTEBBE – Kyadondo East MP Robert Kyagulanyi aka Bobi Wine has landed at Entebbe International Airport aboard Kenya Airways flight KQ412. It is not clear what is next for the legislator. But police on Wednesday issued tight guidelines to be followed by the legislator upon arrival at the Entebbe International Airport. 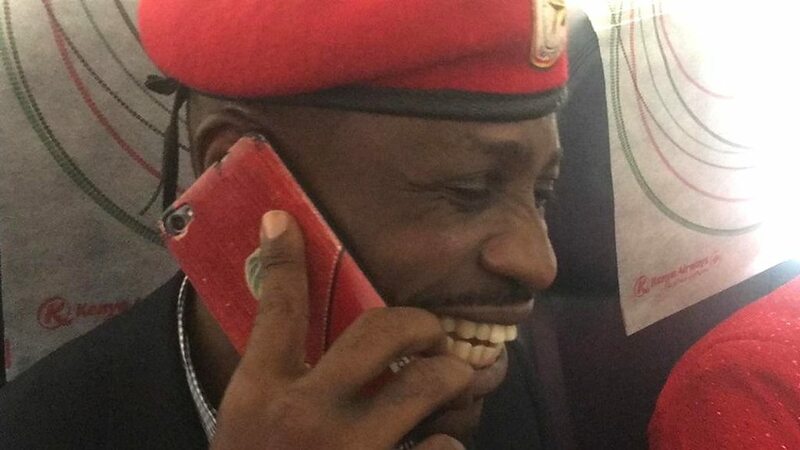 “He [Bobi Wine] will only be received by his close family members at the airport after; he will be escorted to his home. There will be no rallies,” the statement issued by police spokesperson Emilian Kayima read in part.